Makes a play to transform 30 independent team platforms into a common, unified system. America's pastime is all about fan engagement. Ask anyone in professional sports today, and they'll tell you that producing on the field is critical for success. But more and more, technology is helping drive that success, too, as sports organizations recognize the need to modernize their operations management systems, whether those are for collecting and analyzing data; enabling interactions in real time for decision making; or collaborating with the press. Major League Baseball (MLB) is a case in point, with its recent decision to establish a common approach for managing communications and collaboration across its 30 teams. MLB has partnered with Mitel to deliver an integrated system that it expects will transform the existing 30 independent platforms for dugout, bullpen, video review rooms, and press box communications into a common, unified system, as Joshua Haslett, VP of strategic innovations at Mitel, mentioned last week during his Industry Vision Address at Enterprise Connect 2018. The new system will feature enhanced security and call recording capabilities, in part addressing MLB's need to monitor all phone communications to ensure compliance with its rules and regulations. The organization sees this partnership as building great value on both sides. "Mitel is a global leader in providing the kind of sophisticated, custom communications network that addresses the unique needs of Major League Baseball and our 30 Clubs," said Chris Marinak, MLB Executive Vice President, Strategy, Technology & Innovation, in a prepared statement. "Mitel will provide a unified communications system featuring the latest technology across all 30 ballparks. We are delighted to welcome them as a new league partner." For Mitel, CEO Rich McBee, said, "Major League Baseball represents the highest standard of performance, and success in the game relies on effective communications. As MLB seeks to enhance the game experience for both current and future fans and participants, Mitel is privileged to help bring forward new technologies to improve collaboration." While Mitel is focused on the initial areas of the partnership, the potential to move real time into the fan experience is part of the dialog. 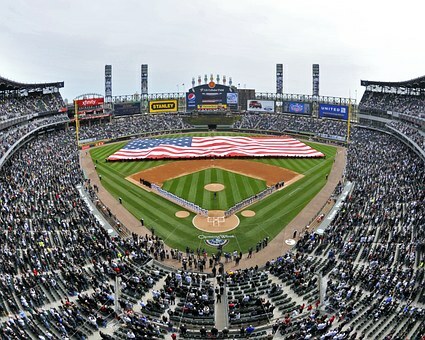 "As growing requirements for greater fan interaction and more integrated communications and collaboration capabilities become critical to the success of sports leagues, ... we look forward to unifying the organization's multiple environments and helping make baseball an even more enjoyable experience," said Jimmy Serrano, Mitel's director of sports marketing, in a prepared statement. This relationship emphasizes the underlying change in the communications and collaboration market. Vendors are moving from supplying a utility solution for basic communications to advanced solutions that integrate communications and collaboration into the business process and fabric of the organization. The result is the ability to create transformational value, as well as strong relationships. Mitel clearly understands this, and is building a key, very visible segment. Besides MLB, sports organizations using Mitel communications systems include Michael Johnson Performance, an Olympic training facility; the NHL Ottawa Senators; Tottenham Hotspur of the English Premier League Football Club.